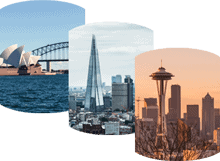 Redgate is hosting a series of exclusive events for IT leaders in various cities during 2019. Join Redgate and PASS for a week of events designed to help SQL Server teams navigate the changing face of global data privacy legislation. Learning and sharing is at the heart of Redgate. We support a range of events, from conferences and online events with hundreds of attendees, to user groups with just a handful. We sponsor technical communities all over the world who focus on Microsoft's Data Platform. If you run a User Group or are organizing an event that brings the Data Platform community together, find out how Redgate can support you with sponsorship. Join a local user group, meet Redgate at an event, register for the latest free webinar, and more. We recognize exceptional members of the community and provide exclusive benefits to reward their support. The Friends of Redgate program is for active and influential community members, as well as Data Platform MVPs. They help us by evaluating our tools, writing articles, and speaking on our behalf at events. If you're a Microsoft Certified Trainer or Microsoft MVP we'll give you NFR licenses of any of our products. Email NFR@red-gate.com with your name, contact number, and address, plus a link to your MVP/MCT profile and the details of the Redgate tools you're interested in. Redgate has a long history of supporting open source projects and developing free tools that work with open source software. Right now, we're providing financial and development backing to four projects that help in everything from code coverage to unit testing.